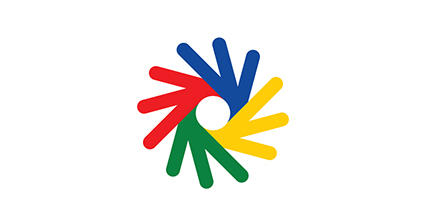 03.07.19 For the first time, chess has been recognized by the International Committee of Sports for the Deaf to be included in the Winter Deaflympics. The Deaflympics, which is sanctioned by the International Olympic Committee, is a quadrennial international elite sporting event that has been attracting deaf athletes since its inception in 1924. The American Chess Association of the Deaf, in partnership with the USA Deaf Sports Federation, is in the process of selecting a deaf chess team to represent the United States at the 2019 Winter Deaflympics in December in Chiavenna, Italy. Chiavenna is located 62 miles north of Milan in the Italian Alps. The International Chess Committee of the Deaf (ICCD). announced that chess has been recognized and included in the 2019 Winter Deaflympics by the International Committee of Sports for the Deaf (ICSD). This marks the first time in the ninety-five year history of the Deaflympics that chess will be included. Second only to the Olympic Games themselves, the Deaflympcs is the longest-running international games competition of any kind. You can read a brief history of the Deaflympics here. There will be a total of four chess events at the 2019 Winter Deaflympics: Men's and Women's divisions of both standard and blitz chess. Standard teams will have four players and two alternates. Blitz teams will have three players and one alternate. The games will be conducted in accordance with FIDE Rules and Regulations. As the United States team is selected and more details emerge, further reports on the 2019 Winter Deaflympics will be posted. As a professional sign language interpreter, FIDE Instructor, and US Chess Senior Tournament Director, ChessMaine.net web editor Dan DeLuca will be traveling to Italy with the United States Deaflympics Chess Team in the capacity of team manager and interpreter. that's just great Dan.I'm so glad for you.